Polymet carbide includes the popular tungsten carbide powders including 88WC/12Co, 83WC/17Co, and 86WC/10Co/4Cr for Sulzer Metco Diamond Jet (DJ) and Praxair JP5000 High velocity oxygen fuel (HVOF) systems. Tungsten carbide has proven to be one of the toughest and long wear resistant material available for thermal spray applications. The three materials on this page have become the workhorse of the industry. After spraying, finishing is done with grinding. Bothe diamond and CBN wheels are highly effective in finishing these coatings. 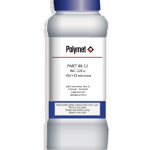 Close dimensional tolerances are easily held when spraying and grinding these powders. we have cross references to other popular brands. Call us for more information or a test sample.